A couple of interesting things have been happening in the CubeCheater world recently. First, I recently received a nastygram cease-and-desist from the Rubik's Cube company, which claims that CubeCheater infringes on its rights. 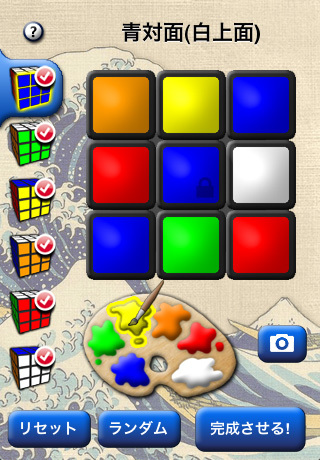 Apparently they claim rights to any and all "depictions" of Rubik's Cubes. 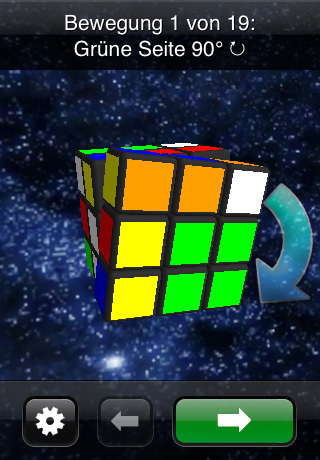 I obviously did not use any "Rubik" names or logos in the app, so I had thought it would be in the clear, especially since the app only solves cubes and does not simulate them. I don't know enough about intellectual propery law to know whether it's legitimate to claim rights to depictions of products, but there does seem to be some precedent for trademarking the "likeness" of a product. Either way, there's no way I could possibly afford to fight it in court, so I didn't have much of a choice. 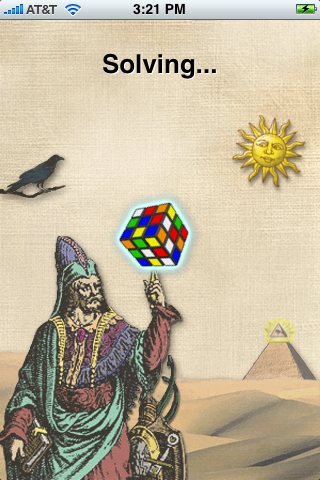 I negotiated with the Rubik's Cube company, and we came to an agreement that I could keep CubeCheater alive as long as it was available for free. 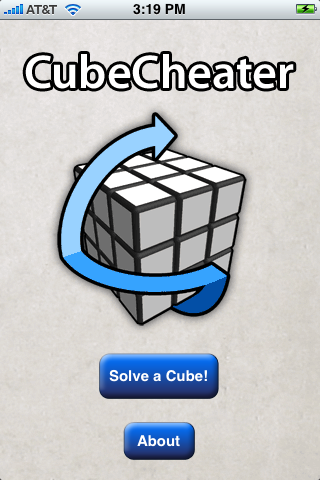 So this week I made CubeCheater available for free on the App Store. In the few days since then, it's been downloaded about 25,000 times. 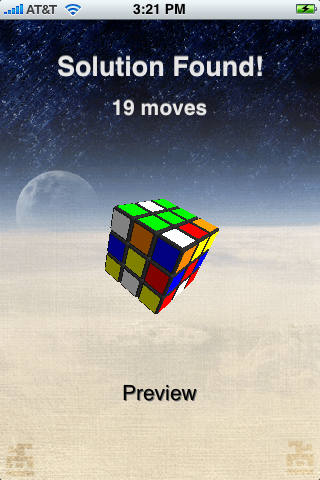 On a more positive note, version 1.2 of CubeCheater is now available, and adds support for many new languages! 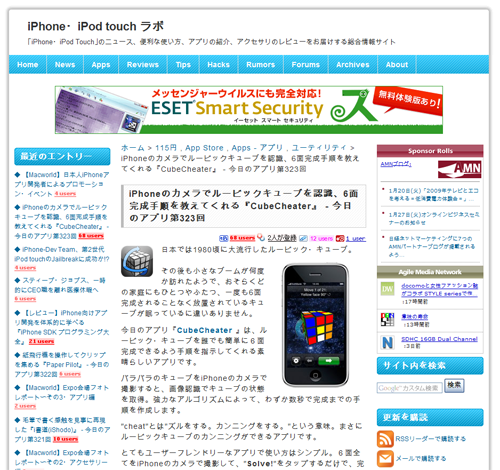 CubeCheater is now translated into Japanese, German, French, Italian and Spanish. Fortunately the app doesn't have a whole lot of text so it was fairly easy to translate. Still, some problems did come up, such as most of the German text strings being too long for the buttons that I had calibrated for the English version. Eventually I got everything to fit. CubeCheater is a Staff Favorite today (and maybe all week - I'm not sure how this process works yet)! An unknown Apple employee has smiled upon my app, which is exciting (it's tempting to assume it's Steve Jobs himself, but that's of course extremely unlikely). It'll be interesting to see how this affects sales. For the most part, I personally get apps directly on my phone rather than through iTunes on the computer, so I'm not browsing the Staff Favorites very often. Getting onto the "Featured" or "What's Hot" lists would probably be more beneficial since those lists are browsable on the device itself. 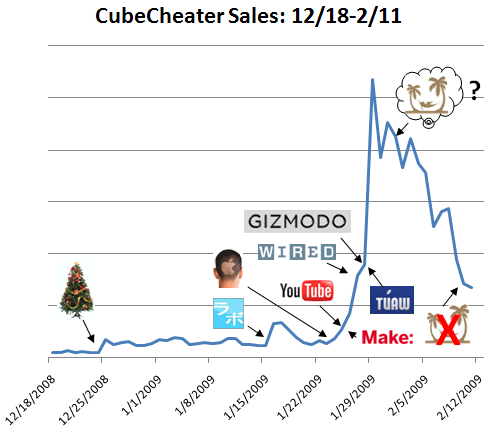 So as promised in last week’s post, here’s a whole load of data that breaks down CubeCheater’s 15 minutes of fame over the last couple of weeks. As you’d expect, sales saw a big boost after getting publicity, and then dropped back off afterwards. I was surprised at the age range: well more than half of the YouTube viewers were over 35 (I would have expected the majority to be under 30). The gender breakdown is 90% male, 10% female - I am actually a little surprised it was skewed this much. Both of these statistics probably have more to say about Wired & Gizmodo readers than they do about YouTube viewers or iPhone owners (since the vast majority of YouTube views came from embeds on those two sites). Surprisingly, Yahoo is by far the #1 referrer, most likely due to the fact that the Yahoo Games article did not include an embedded YouTube video: it was the only one which prominently linked to the CubeCheater website directly. The vast majority of search keywords during this period were either cubecheater or cube cheater. For these terms at least, Google Search apparently has about 20 times the traffic of either Yahoo Search or Live Search. This week CubeCheater has gotten a storm of publicity, ever since one of the videos was featured on YouTube. I'm getting so many comments and emails that it's been hard to keep up with it all. So far the two YouTube videos have been viewed a combined 90,000 times. A Google search for "+cubecheater" now returns 2.3 million results, where it returned zero little more than a month ago (the vast majority of those are spam sites & splogs, of course). Gizmodo: "iPhone Rubik's Cube Solver Is Pure Genius"
Wired: "iPhone App Solves Rubik's Cube in 20 Moves or Better"
TUAW: "CubeCheater solves that Rubik's Cube for you"
MAKE: "iPhone app will help you deconstruct the Rubix cube"
Cult of Mac: "Your iPhone is Better than You at Solving a Rubik’s Cube"
A CubeCheater video is at the top in the "Featured Video" section! 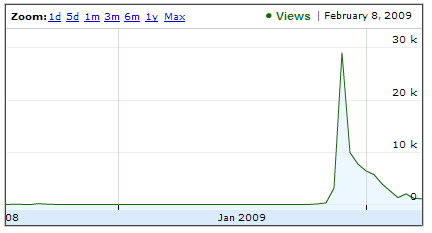 So far it looks like being featured was worth about 10,000 views. Alas, since the video doesn't feature any scantily clad women and/or European soccer games, it probably won't get 100,000 views and show up in the coveted "Most Viewed" section. Tomorrow I'll check the sales reports to see how YouTube views affect actual App Store sales. Based on previous experiences, my prediction is that about 3% of the YouTube views will translate into purchases, which is actually pretty good given that it's basically free advertising. His YouTube video has already been viewed 3,000 times, which is about 3 times more than mine has been viewed in a month. For comparison, in the U.S. App Store, it peaked at around #30 in Utilities, and never came close to making the Top list of all apps, which is dominated by games and fart apps. 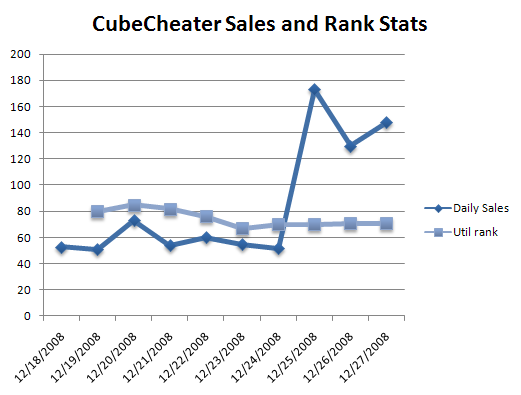 CubeCheater has been on sale for one week now, so I figured I would post the sales stats since they are pretty different from what I was expecting them to be like. It’s always a question about whether or not you should post your sales stats, but I think that one week of data doesn’t reveal too much. It was really useful for me when other iPhone app developers posted their stats, so maybe this info will help others who are thinking about jumping in too. While I was making the app I was expecting to get only one or two sales until the app was reviewed by a prominent iPhone site or blog, at which point there would be a spike of sales, followed by a drop-off back down to almost zero sales after a few days. So my strategy was to make a gimmicky sort of app that bloggers might find interesting, and then try to get someone to write about it. It’s now looking like that might be the wrong strategy to use in the App Store. The first surprise was that the app has sold more than 50 copies each day that it’s been available, and as far as I can tell there has been absolutely no English press about the app at all yet which would be driving these sales. At first I thought that it might have been due to the app showing up in the “new apps” section in iTunes on the day it was released, but it hasn’t been new for a week now, and the sales are still keeping up. 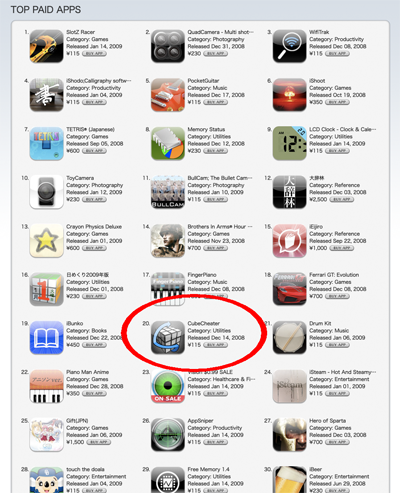 Without any press or publicity, my only guess is that people are finding the app by browsing the Utilities section in iTunes, where it currently is ranked around #70. The next semi-surprise was that I started to receive a whole bunch of emails from customers who had purchased the app. Many of them were of the “Hey, great app!” variety, but a lot of them were from people who liked the app but couldn’t use it because it didn’t work with the cube that they had. Among other problems, it turns out that all cubes sold in Japan and many in Europe use a different color scheme than cubes currently sold in the U.S. 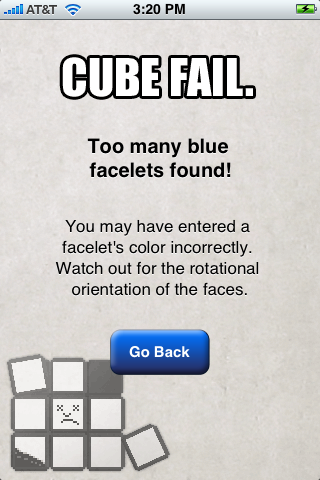 The app would tell the user to input the “Blue face with the White face on top”, which would be impossible because the Blue and White faces are on opposite sides of those cubes. I rushed out a 1.1 update to support that style of cube (and custom user-specified styles), but the update has been languishing “In Review” for almost a week now - Apple’s system was closed for much of the Christmas week, so I’m hoping that the update will go live sometime this week. 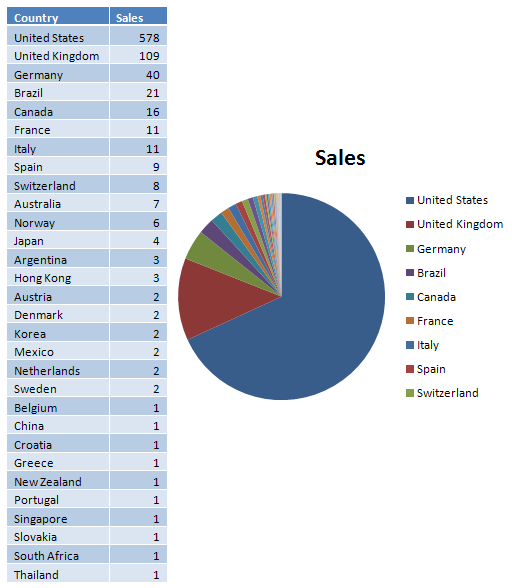 So far only 68% of the sales have come from the U.S., meaning that a full 32% are coming from overseas, which is more than I had originally expected. The app isn’t localized at all - it’s only available in English. Localizing it would require paying quite a few translators to translate all the text strings in the app, which could get expensive depending on how many languages I wanted to support. At this point I’m not really sure how to tell whether or not it would be worth doing that, financially-speaking. I designed the app’s UI under the assumption that nobody reads any explanatory text anyway, so it’s pretty graphical and should be usable without knowing much English. It seems to be selling OK in non-English countries, and I haven’t received any emails requesting that the app be translated into a specific language, so maybe it is OK as it is. On the other hand, that’s sort of an argument from fallacy because if people aren’t buying the app since it’s not available in their language, then they wouldn’t be sending me emails in the first place. Also, a large majority of sales have been from the U.S., U.K., Canada, and Germany, where most everyone understands English (or at least the people who are buying iPhone apps). At this point I think that if I did localize the app, the first languages to tackle would be Spanish, Portuguese, Japanese and Chinese, in order to cover the largest number of potential customers. The sales were pretty consistent leading up to Christmas, at which point there was a huge jump. Right now there are only two data points after Christmas, so it’s hard to say if this is a permanent shift or if it’s a one-time fluke. I assume that it happened because a whole bunch of people got new iPhones and iPod Touches for Christmas, so I wouldn’t be surprised if the new stable sales point is somewhere in between. The iTunes rank stayed constant even through the Christmas spike. The rank is determined by number of downloads, so the fact that it remained the same indicates that all iPhone apps probably experienced a similar huge jump in sales (See: A Christmas iFart Explosion: 40,000 downloads - Man do I wish I had thought of that app). It’s interesting to see that there’s sort of a “long tail” of countries where the app was purchased one or two times, but not in the Chris Anderson/power-law sense, since the bottom 80% of the countries only account for 10% of the sales. With this distribution I could completely ignore all but the top 3 countries if by doing so I could increase sales in those countries by 20%. The YouTube demo video has been viewed only 573 times. Given that many of the YouTube viewers probably did not end up buying the app, this means that far less than half of the people who did buy the app watched the demo video or visited the web site for the app before buying it. I had originally thought that most people would buy the app after watching the video, but it looks like this is not the case. It’ll be interesting to see how long these sales numbers remain consistent. On one hand, you’d expect the sales to drop off after all of the people with both cubes and iPhones buy the app. On the other hand, the installed base of iPhones is still increasing exponentially now, which might counteract that drop-off. I’m curious to see how the sales are impacted if the app does get any mentions on any high-profile sites. Other developers have noted large yet temporary sales spikes. This morning I received a mail from Apple saying that CubeCheater was approved and is now available for sale! It took about three days for the app to be approved, which is not too bad - I was prepared for it to take up to a week or more. Still, according to iTunes there were a whole bunch of apps which were apparently submitted yesterday and today which were also approved at the same time, so something about the process still seems a little fishy. I'm not complaining though! Another strange thing is that now I am only given 700 characters to type a description of the app, which is not really even enough room to fully describe all of the features. I think the limit used to be 4000 characters, and other app developers certainly took advantage of that space to write long-winded advertisements for all of their other products. Maybe this is a new shorter limit in order to cut down on that sort of behavior. It certainly forces you to be terse and succinct. Loyal readers have probably noticed that I haven't been posting very often in the last couple of months. 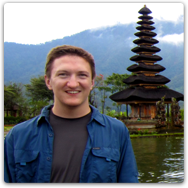 During the spare seconds between my job and two classes at UW, I've been working on a new iPhone app. 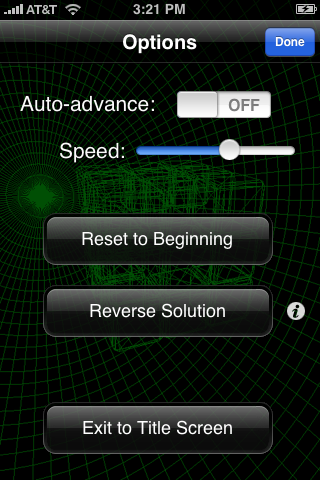 I'm pleased to (finally) announce that the application is complete and should be available on the iTunes App Store soon. I just uploaded it and am now waiting for Apple's approval before it goes live. 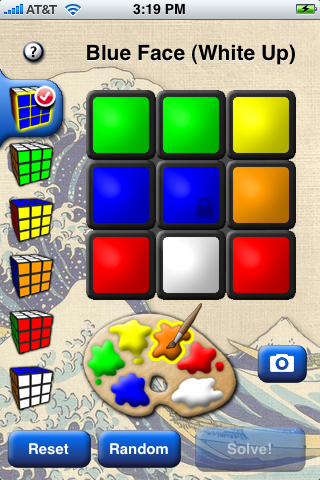 The app is called CubeCheater and is an iPhone/iPod Touch app for solving everybody's favorite 80's puzzle cube. You input the state of your cube, and it will compute an optimal (or near-optimal) solution to solve it. It uses the Group Theory algorithm discovered by Herbert Kociemba to do the solving. I haven't tried all 519 quintillion cube configurations, but I have run through quite a few random ones during my testing and I've never seen the program give a solution worse than 22 moves (the current upper bound  on optimal cube solutions as of August 2008). On average it takes about 7 seconds to find a good solution. 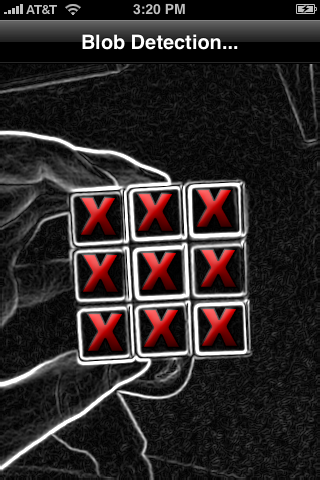 The other particularly cool part of the app is that it takes advantage of the iPhone's camera and can recognize your cube from pictures you take of it, using computer vision. I was pleased with how well this turned out - if you orient the cube properly with good lighting, it recognizes the cube perfectly every time. That feature and most of the cool animations and 3D effects are best experienced by watching the app in action, so if you're interested, head on over to the website and check out the embedded YouTube video (or view it directly on YouTube, and don't forget to click "watch in high quality").